Examining the influence of Thomas Aquinas and his followers upon the seventeenth century Puritan theologian John Owen, this book breaks new ground in exploring the impact of medieval thought upon Reformed scholasticism. Cleveland argues that Owen uses Thomistic ideas in two ways: first in an Augustinian fashion arguing against Pelagian and semi-Pelagian ideas of human independency; second in a Trinitarian fashion, with Thomistic ideas affecting the understanding of each person of the Trinity. The resulting theological formulation is strongly Western and Orthodox and provides a helpful model for theological formulation seeking to build upon a Western Christian foundation. 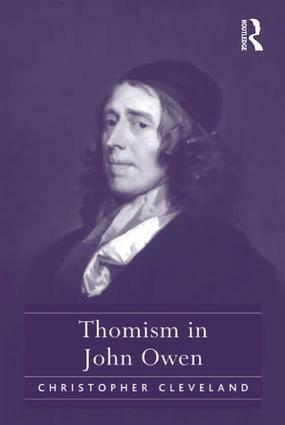 The works of the Reformed theologian John Owen have long been admired for their depth and theological sophistication. In this book Cleveland fills a significant gap in Owen studies by pursuing a deeper understanding of the role that Thomas Aquinas and the school of thought known as Thomism played in Owen's theology, from his works on providence and salvation by the Holy Spirit to his Christological work. Contents: Introduction; The Thomistic concept of God as pure act in John Owen; The Thomistic concept of infused habits in John Owen: Part I; The Thomistic concept of infused habits of grace in John Owen: Part II; Thomism in the Christology of John Owen; Conclusion: a Western Trinitarian theology; Bibliography and further reading; Index. Christopher Cleveland received his Ph.D. from the University of Aberdeen, where he studied with Professor John Webster on the topic of Thomism in John Owen. Previously, he studied at Westminster Seminary (M.A.R.) and Boyce College (B.A.). This is his first book.